Over the weekend, we reported that as a result of rising tariffs and escalating trade war, various US companies had passed on rising input costs to consumers, resulting in higher prices, in some cases significantly so, for a variety of products. The first industry hit by higher prices was in discretionary purchases such as recreational vehicles. Earlier this month, Winnebago Industries warned that the recreational-vehicle boom seen in the last several years could have popped: "We’ve had to go to the market a bit more frequently and a bit more aggressively with some price increases as of late,” said Michael Happe, chief executive of recreational-vehicle manufacturer Winnebago Industries Inc, who spoke with The Wall Street Journal. The CEO of the Iowa-based company said that trade tensions and rising inflation could lead to a gloomy outlook for the company. "Uncertainty is never a great thing for the economy and the more noise there is there’s a risk that consumers will press pause," he said. Another RV company, Polaris Industries, announced it was hiking prices on its vehicles including boats, motorcycles, snowmobiles to cover $15 million of the $40 million in tariff-related charges to pay for steel, aluminum, and components from China this year. The company is facing severe headwinds from retaliatory tariffs from other countries on products it exports from the U.S., including the Indian-brand motorcycles it ships to Europe. And while higher costs for recreational-vehicles - and soon cars if auto tariffs are implemented - are slowly but surely being passed along to the American consumer, at least these are discretionary purchases for members of society's upper-middle and top income classes, and as such the hit to their wallet will be manageable. But now Americans are about to suffer rising prices on their purchases of key staples as well. Last week, Coca-Cola CEO James Quincey said tariffs are going to inflate drink prices. “Clearly it’s disruptive for us. It’s disruptive for our customers,” Quincey said. He believes distributors and retailers will pass along increased prices to consumers in the third quarter. Today, household products giant Procter & Gamble joined the "tariffs club", warning that its profit margin are getting squeezed by higher costs and rising competition, and a result the prices of Bounty paper towels, Pampers diapers, Charmin toilet paper and Puffs tissues are going up. In its quarterly earnings report, P&G unveiled that the cost of Pampers will go up by an average of 4%, raising the price of a 128-count pack of swaddlers for newborns from $34.99 at Target to about $36.39. 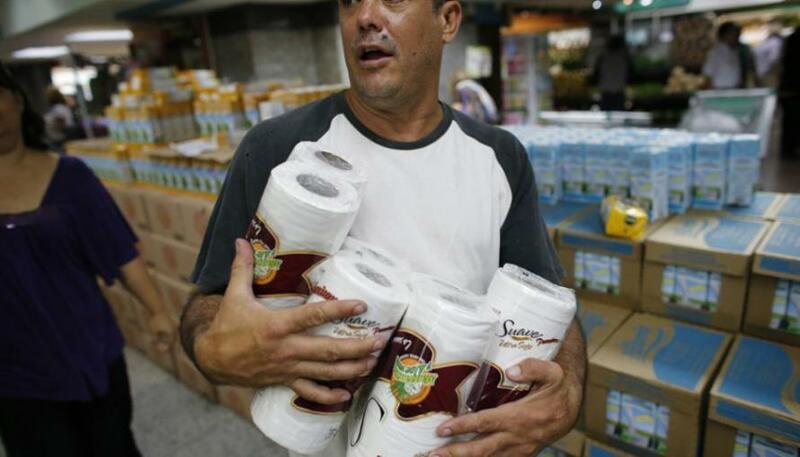 Other paper staples, such as Bounty, Charmin and Puffs will see 5% price increases on average. The company said it was raising prices to help offset disappointing earnings results and another 15% slide in profits, to $1.89 billion in the second quarter, from $2.22 billion in the same period last year. On the conference call, CEO David Taylor said "these [price hikes] are aimed to address commodity costs the entire industry is experiencing." In other words, its competitors will unleash similar price hikes in the immediate future. And since price increases tend to be sticky on the way up, should normalcy return on the trade front it would unlikely lead to price reductions. Naturally, there is a question of how much price elasticity and pricing power P&G has: already the company noted that it had suffered a 2% drop in sales in its baby business - which includes Pampers and other brands - which it blamed in part on market pullback in the Middle-East, Africa and Latin America, potentially the result of price indexation to account for the higher dollar. Worse, the business was also affected by deep discounts by other retailers (coughamazoncough), the Achilles heel for the consumer giant in recent years. Not surprisingly, P&L earnings badly missed analyst expectations, and despite a 3% increase in revenues, the company's profit margins dropped in the past year; organic sales rose just 1%, below the 2.3% consensus estimate. Proctor has already been forced to cut prices on some namesake products, like Gillette razors as a result of shrinking market share. Which is why a recurring question is what happens if instead of boosting revenue, the price increases lead to a drop in sales, and whether - as CNBC notes - it has "the marketplace clout to raise prices on products like paper towels and toilet paper, as those businesses continue to battle cheaper private label options." "I do not think that the new normal is we don't have pricing power at all," Taylor said on the call. "...I believe superior products at competitive prices will win and I believe in time, the industry has to address input costs."